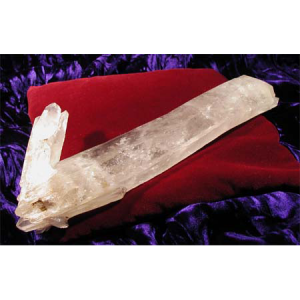 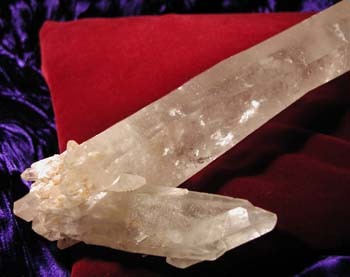 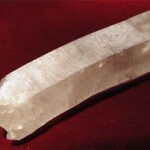 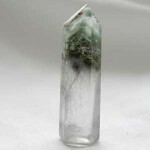 Home › Unpolished Crystals › Double terminated lemurian wand with cluster. 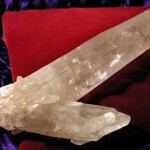 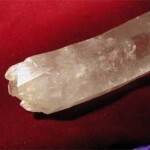 Double terminated lemurian wand with cluster. 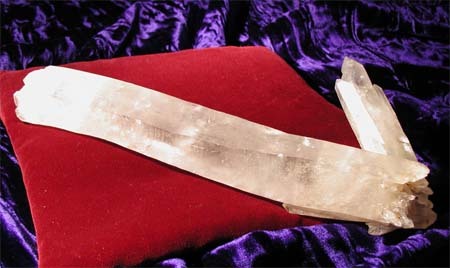 Posted in Unpolished Crystals, Wands. 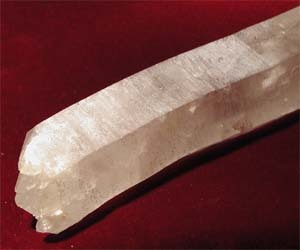 Tagged as clear quartz, cluster, Lemurian, quartz, unpolished, wand. 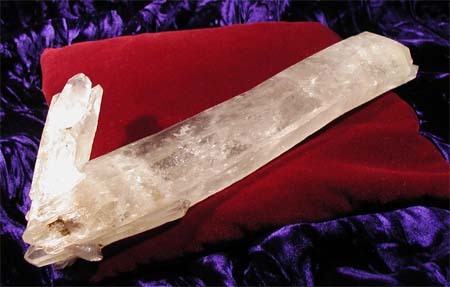 This marvellous unpolished wand just calls to be held and worked. 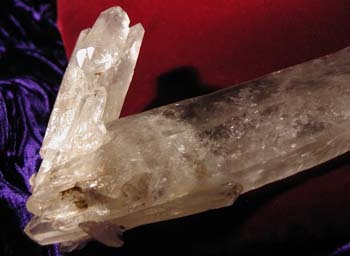 It is double terminated (points at both ends), and many of the crystals in the cluster at its base are double terminated as well. 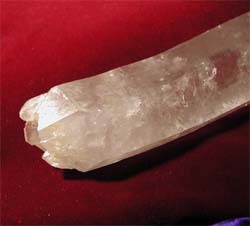 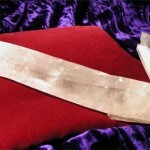 It has the classic horizontal markings on the sides seen on Lemurian quartz, said to be the records left by the Lemurians. 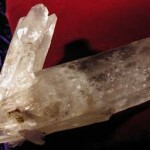 It’s tip is cathedral like (one crystal appearing to grow as many.) It is just a marvellous crystal to work and hold. 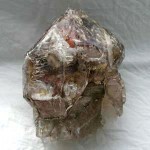 It has a real sense of fun and exuberance. 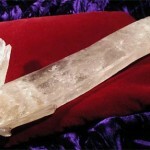 Size: It is 9.5 inches long, and 1.75 by 1.25 at it’s widest point.